The Russian Civil Code defines a trademark as a sign that serves to individualise goods and services of legal entities and entrepreneurs. In other words, a trademark is a sign that is capable of distinguishing goods and services of one legal entity or entrepreneur from another legal entity or entrepreneur. Russian legislature provides that any designations – including but not limited to verbal, pictorial, combined, three-dimensional signs and other designations or their combinations – may be registered as trademarks. A trademark may be registered in any colour or colour combination, or just black-and-white. Sound and animation marks can also be registered. There is no relevant legislation nor sufficient practice regarding olfactory marks. Registration of marks that are lacking in distinctiveness is not allowed. Despite the fact that the Civil Code indicates the designations that should be recognised as lacking in distinctiveness, in some situations the criteria of distinctiveness are arguable and remain at the discretion of the trademark office. Moreover, the Civil Code provides for the possibility of registration of marks based on their acquired distinctiveness through intensive pre-filing use in Russia. Colour marks (either colours per se or colour combinations), sound marks, texture marks, olfactory marks, position marks, hologram marks, motion marks, taste marks, etc. may be registered in Russia but their inherent registrability depends on distinctiveness: either distinctive features of the mark itself or acquired distinctiveness through intensive use in Russia. It should be noted that Russia is a first-to-file country. Legal entities or entrepreneurs who first apply for registration of a trademark enjoy a priority right to obtain trademark registration. According to Russian legislation, rights for a trademark appear from the moment of state registration and no rights derive from the use of an unregistered trademark. Therefore, it is essential to file trademark applications without delay even if the trademark owner does not yet intend to use its trademark on the Russian market. The examination of trademark applications consists of a formal examination and thereafter a substantive examination allowing an examiner to determine whether the filed designation is inherently registrable and whether it is confusingly similar to any pending third-party applications or registered marks. A national trademark application has to be filed with the Federal Service of Intellectual Property (PTO), also known in Russia as Rospatent, which is an administrative body responsible for the examination of applications and issuance of decisions once the results of the examinations are known. Under Russian legislation, foreign applicants should be represented by Russian trademark attorneys registered at the PTO. Therefore, for an application to be filed in the name of an entity residing outside Russia, this entity has to appoint its Russian agent as its representative before the PTO in all proceedings. the Orders of the Russian Ministry of Economic Development of 20 July 2015 Nos. 482 and 483, which regulate the detail of all trademark prosecution procedures. Trademark prosecution is dealt with by the PTO, which also renders decisions on trademark invalidation actions. The PTO comes under the jurisdiction of the Russian Ministry of Economic Development. Decisions by the PTO on trademark matters are reviewed by the Intellectual Property Rights Court (the IP Court), which also hears cassation appeals on trademark infringement cases, rendered by lower commercial courts. Decisions by the IP Court may be further appealed to the Russian Supreme Court. The Federal Antimonopoly Service (FAS) fights unfair competition and unfair advertising cases that might also involve trademarks. In particular, a decision by the Service on unfair competition relating to trademark registration and use is a ground for the PTO to invalidate a trademark. The Russian police and the Russian customs authorities are competent in various types of trademark infringements. the sanctions for violation of the rules. The names of the enterprises entitled to use the mark and an extract from the rules relating to the common characteristics of the goods for which the mark is registered will be mentioned in the publication of the registration of the collective mark in the official bulletin. The owner of the registration must inform the PTO of any amendment to the rules. Any interested person may apply to the IP Court for the (total or partial) cancellation of registration of the collective mark if it is used in relation to goods not having common qualitative or other common characteristics. Collective marks cannot be assigned or licensed to third parties. Collective marks and applications for registration of collective marks may be transformed respectively into trademarks or trademark applications. A trademark can enjoy protection as a well-known mark that may not necessarily be a registered designation. Russian legislation foresees the procedure of recognition of a well-known trademark. As well as the usual trademark filing procedures through the PTO or registration via the Madrid System, legal protection for a well-known trademark can also be obtained through a special recognition procedure. In Russia, unlike in many other countries, a trademark is not granted well-known status as a result of court proceedings or litigation. According to Russian trademark legislation, for a trademark to be recognised as well known, the appropriate request should be filed with the PTO. For it to be recognised as well known and associated with the trademark owner, the well-known status should be evidenced by numerous documents and materials confirming intensive use of the mark and its reputation among consumers in association with the goods or services for which the request is being made. In seeking to have its trademark recognised as well known, the applicant should indicate the goods or services for which the mark has become well known and the date from which the trademark became well known. documents containing information about supplies of goods to Russia, etc. It is not compulsory to submit all the above-listed evidence. Trademark legislation does not contain a list of obligatory documents that must be submitted with the petition for the recognition of a trademark as well known. Practice shows that it is recommended that evidence of use of the trademark in Russia be submitted in support of the petition. Special attention should be paid to the results of consumer surveys. Such surveys must be carried out in at least six of Russia's largest cities, including Moscow and St Petersburg. Other cities may be chosen by the applicant, depending on the sphere of activity and the regions of trademark use. Determining the date from which the trademark became well known is also crucial, and a careful review of all available materials is required. The date from which the trademark became well known should be indicated precisely. The PTO has a strict approach to petitions for the recognition of marks as well known, and they are often denied. 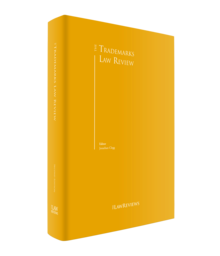 The main difficulty encountered during proceedings is demonstrating that consumers have a strong association between the trademark and the goods or services for which the trademark is used, and with the trademark owner. Often consumers recognise the trademark, but have little knowledge about its owner. Formally a trademark may belong to an IP-rights holding company, the name of which is not known to consumers. Furthermore, if the date from which the applicant would like to have its trademark recognised as well known refers to a period in the past, the supporting evidence should predate the date mentioned in the request. As of November 2017, 190 well-known trademarks are published in Russia, including Nike, Coca-Cola, Disney, Tiffany, Intel, Adidas, Gillette, Nikon, Elle, Heinz and Casio. It is possible to have a certification mark registered in Russia. However, the registration procedure is quite different from that used in relation to trademarks. In particular, a legal entity that created its own voluntary system of certification is entitled to get both the system and the certification mark identifying it registered. The registration can be implemented by filing an application with the Russian Federal Service for State Standardisation. According to the current rules, the certification mark has to be distinctive and visually perceivable. The rules make it very clear that trademarks cannot be used as certification marks. The registered certification marks are entered into a special state register, which is separate from the Register of Trademarks. Certification marks have nothing to do with IP objects. However, a certification mark can be registered as a trademark if it meets registrability requirements and is not in conflict with third-party rights. A trademark that has a geographical indication as a part of its designation can be registered in Russia subject to the disclaimer of the geographical indication, provided that the registration will not mislead consumers in respect of the geographical origin of the goods or the whereabouts of the manufacturer. There are no specific additional documents that should be filed with the trademark application except power of attorney. Filing power of attorney is optional but if it is absent from the application materials, the examiner may request submission of this document and that may have a negative impact on the registration terms. It should be issued by the applicant and signed by the authorised person with an indication of that person's name and position in the company. The date and place of the signature should be indicated as well. Neither notarisation nor legalisation is required. The power of attorney can be submitted after filing the application. In cases of a priority claim under the Paris Convention, it is necessary to submit a certified copy of the first (home) application. The filing particulars should correspond to those in the home application. The home application can be submitted after filing an application under the Convention, but within three months of the date of filing the Convention application with the PTO. This term cannot be extended. Split priority is not foreseen in Russia. Formal examination (in one class) is 2,450 roubles and 700 roubles for each additional class over five. Substantive examination (in one class) is 8,050 roubles and 1,750 roubles for each additional class after the first. In the case of non-electronic filing, the official fees increase by 30 per cent. The official fee for registration is 11,200 roubles and 700 roubles for each additional class over five, and the official fee for issuance of the certificate is 1,400 roubles. Currently, the PTO examination procedure can take about eight to 10 months from the filing date and it is also now possible to expedite the examination procedure by up to two months. For an expedited examination, it is necessary to arrange for a trademark search in all 45 ICGS classes, even if the application does not cover all these classes, and to file the search result either together with the application request or afterwards with the expedited request. The cost of the expedited process is 94,400 roubles. Examination in Russia consists of a formal and a substantive stage. A formal examination of a trademark application is conducted within one month of the application being filed. During the formal expert examination, the necessary application documents and their compliance with established requirements are verified. The outcome of the formal examination will be that either the application is accepted for consideration or a decision is taken to refuse acceptance for consideration. The aim of the substantive examination stage is to determine whether the filed designation conforms to the registrability requirements. A trademark application may be rejected on either absolute or relative grounds, or both. Absolute grounds are those that relate to the substance of the mark itself and include: lack of distinctiveness; risk of misleading and capability of confusing; similarity to or identity with state symbols and marks; reproduction of full or abbreviated names of international or intergovernmental organisations or their symbols; and reproduction of the official names or images of the most valuable objects of Russia's and worldwide cultural heritage. identity with or similarity to the extent of confusion with third parties' industrial designs, appellations of origin, company names or commercial designations. A trademark may also be refused protection if it incorporates protected means of individualisation of other persons (and confusingly similar signs) as well as copyrighted objects owned by third parties, names, pseudonyms (or derivatives thereof), pictures, facsimiles of famous persons, or industrial designs owned by third parties as elements of the trademark. Before making a decision about the results of the examination of an application, notification of the results of the checks for compliance of the applied designation with the requirements is sent to the applicant. The applicant may then submit arguments in response. Those arguments shall be taken into account when a decision is made on the results of the examination, provided they are submitted within six months of the notification being issued. If a prior trademark is considered similar to a pending application and cited by the examiner as an obstacle, a letter of consent provided by the prior trademark right holder may be taken into consideration by the examiner during the examination procedure. Article 1483.6 provides that registration of a trademark in respect of similar goods or services may be allowed if the prior trademark right holder grants consent, and provided that registration of the trademark would not result in consumers being misled. However, if a letter of consent is granted by the prior trademark right holder, the examiner has no any obligation to accept it unconditionally; acceptance would depend on the degree of similarity between the trademarks, which means that, in cases of very close similarity between trademarks, the consent could not be taken into consideration, even if provided. The PTO has strict requirements regarding letters of consent, one of which is for an indication in the body of letter that once granted consent cannot be revoked and is not limited in time. Furthermore, very recently the PTO has started to apply a requirement for an additional provision in letters of consent to the effect that the prior trademark right holder believes that registration of the trademark would not result in confusion on the market nor in consumers being misled. The substantive examination is followed by the examiner's decision, which may be in the form of a registration decision in full, a registration decision for a part of the applied goods or services (and, consequently, refusal for the rest of the goods) or a refusal decision affecting all the goods or services. Provided the applicant agrees with the decision, the registration fee should be paid within the prescribed period. Russia is a first-to-file jurisdiction. Legal entities or entrepreneurs who first apply for registration of a trademark have a priority right to obtain trademark registration. Russian trademark legislation does not recognise prior use rights (as a general rule, the exclusive right to use a trademark in Russia arises as a result of state registration). c third persons have the right to submit in writing to the PTO their observations against pending trademark applications before official action is taken. Such written observations may be taken into account by the examiner during the examination. Observation letters may be used as an effective tool to ensure that prior rights are taken into consideration by the examiners. Russian legislation foresees another instrument for raising objections based on prior rights against a trademark. Within five years of information on a registration being published in the official bulletin of the PTO (after a trademark is registered), the owners of the prior trademark rights have an opportunity to file an invalidation action against the trademark registration with the Chamber of Patent Disputes of the PTO. In the event of an invalidation action, the trademark owner is notified and both parties are invited to a hearing for the matter to be discussed. The PTO then makes a decision to reject the invalidation action and leave the trademark in force, to invalidate the mark in full, or to partially invalidate the mark. An invalidation action or a cancellation action against a trademark registration on other grounds already provided for by legislation may be filed during the entire term of validity of the trademark. If a decision is not acceptable, the applicant may appeal to the Chamber of Patent Disputes of the PTO within four months of the date the decision is issued. The decision that results from consideration of the appeal by the Chamber of Patent Disputes may be further appealed to the IP Court. Trademark infringement disputes are heard by commercial courts of first instance located in constituent parts of Russia. Their decisions may be appealed to the appellate commercial courts. Further appeals (on current cases) go through the IP Court and the Russian Supreme Court. Finally, a supervision appeal may be filed with the Russian Supreme Court. In the case of a defendant not being a business entity or an individual entrepreneur, a court of general jurisdiction may also establish competence. Trademark non-use disputes come under the exclusive jurisdiction of the IP Court, which hears these disputes on the merits in the first instance, and the Presidium of the Court hears cassation appeals on current cases. A supervision appeal may be filed with the Supreme Court. Pre-action cease-and-desist letters are not required. The exception is for claims for damages or compensation for IP infringement, where there may be a cause for action if there is a total or partial refusal of payment, or in the case of no response within 30 days. Cease-and-desist or demand letters are now mandatory to a certain extent. In other words, it is not possible to sue an infringer in court by claiming damages or monetary compensation, if the demand letter is not dispatched in advance of the civil action. In accordance with the relevant law, the infringer has 30 days to respond to the cease-and-desist letter. Failure to respond, or receipt of a negative reply, provides the trademark owner (or its registered or exclusive licensee) with a legal standing to claim monetary relief. The easiest and most effective out-of-court enforcement option is to send a demand letter to the alleged infringer requesting a voluntary cessation of the trademark infringement. b trademark infringement that may be a matter of unfair competition, which is prohibited in Russia. Unfair acquisition and use of trademark rights are not permitted. Passing-off and imitation of trade dress are also treated as unfair behaviour, which may be prosecuted. The FAS is empowered to consider disputes related to unfair competition through a special quasi-judicial procedure. This starts on the basis of a complaint to be filed by the injured party (e.g., a trademark owner or local distributor). Should the action on unfair competition be successful, the respondent (infringer) would be forced to cease the established illegal activities and pay the administrative fine in favour of the state budget (which may be up to 0.15 per cent of the corresponding infringer's profits). This procedure usually lasts about six to 10 months, although it can take longer if the binding order from the FAS is appealed in court. Company names are protected against unauthorised use for the same activity by companies whose company name was included in the state company register later than the name of the plaintiff. As regards commercial designations, it is not permitted to use a designation that may create confusion regarding ownership of the enterprise by a specific person, in particular a designation that is confusingly similar to the company name, trademark or a commercial designation owned by another person. Domain names are not treated as IP subject matter. However, good-faith senior users of domain names may bring a charge of bad faith if a lawsuit is filed by persons who register the senior users' designation as a trademark (in certain cases, a trademark invalidation action may be also appropriate). Proceedings are initiated when all procedural requirements are met (i.e., payment of state duty, notification of the defendant, etc.). A representative needs to have a duly executed power of attorney. The court schedules a preliminary hearing during which it considers whether the case is ready for a main hearing on the merits. The defendant is obliged to provide a response (objections) to the lawsuit. Each party is obliged to prove the asserted facts: the plaintiff must prove that the defendant uses the trademark; and the defendant must prove whether there are legitimate grounds for use, or the defendant is in breach. Various types of evidence may be used during the proceedings – documents (e.g., bills of lading and other sale confirmation documents), physical evidence (such as samples of counterfeit products), expert opinions, social poll results, private detective reports, witness statements and audio and video tapes. All evidence must meet the requirement of relevance to the case and admissibility. At the appeal stage, new evidence is submitted only as a means of explaining why the evidence was not submitted in the first instance. Typically, proceedings in the first instance court last for three to six months, unless there are notification issues. The decision is made (announced) upon conclusion of the proceedings, and adopted (issued) within five days of the announcement. The winning party has the right to recover court expenses (including legal fees), the amount of which is determined by the court, based on the submitted documents. publication of the court order. The plaintiff may also claim a preliminary (temporary) injunction, such as the arrest of the allegedly counterfeit goods pending adjudication. Unlawful use of a trademark shall incur an administrative fine (which has to be paid in favour of the state budget) and confiscation of the counterfeit goods for the purpose of destruction. Administrative proceedings usually begin with a complaint, which the trademark owner has to file with the police or customs authority, so that the latter can take action. Administrative action may take about three to five months to complete, unless the decision of the first instance court is appealed by the infringer. Practically, an administrative procedure proves to be the most efficient enforcement option to cease trademark infringement at the border in the context of importation of counterfeit goods into Russia. This measure is also applicable when small shops offer for sale and sell counterfeit products on the domestic market. Illegal use of a trademark may also lead to criminal proceedings, but only in the event of substantial damage being caused to the trademark owner, or if the trademark infringement is repeated. The typical statutory criminal sanctions are (1) a criminal fine; (2) forced labour; (3) correctional work; or (4) imprisonment. In the course of criminal procedures, the trademark owner is also entitled to file a civil lawsuit to recover damages. 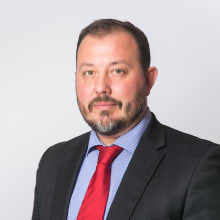 The total duration of criminal proceedings is usually hard to predict, although the approximate timing is one to two years, unless the decision of the first instance court is appealed by the infringer. In practice, criminal procedures are applied against large-scale or gross infringers who are manufacturing and distributing counterfeit goods in large quantities all over the country. The Russian legal system does not include precedents as sources of law. However, courts take into account legal positions in the decisions of the High Court (the Russian Supreme Court and the previously effective Supreme Commercial Court) and, mandatorily, the position adopted by the Russian Constitutional Court. In Resolution No. 8-П of the Russian Constitutional Court, of 13 February 2018, the Court clarified options relating to trademark enforcement against parallel imports. The Court confirmed prohibition of parallel imports by confirming the principle of regional exhaustion of rights. Further, the Constitutional Court has indicated that the abuse of trademark rights to restrict importation of selected goods of public interest (such as drugs and life-support equipment), or to produce an overpricing policy in terms of claiming damgaes, is not allowed. In Resolution No. 305-KГ18-2488 of the Russian Supreme Court, of 3 July 2018, in case No. A40-210165/2016, the Court clarified that under the domestic legislation a national trademark registration cannot be filed and registered in the name of more than one applicant or registrant; where several persons plan to use one trademark, they may proceed with a collective trademark registration. In terms of practice, attention should be paid to decisions by the IP Court, which acts as the cassation court for current cases. 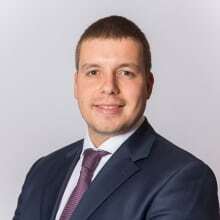 The IP Court has considered many notable cases in recent years, including a trademark invalidation dispute filed by the heir of the first man in space, Yuri Gagarin, against alleged use of the surname in a trademark (Case SIP-238/2016), and an unfair competition case involving trademark registration of a popular soft drink (Case SIP-744/2014). One example of a significant award for trademark infringement is a case involving the grey import of supplies of medical devices (Resolution of the Commercial Court of Saint-Petersburg and Leningrad Region of 6 June 2016, Case No. 56-709/2016), where the trademark owner was awarded 45 million roubles. The most recent development is the introduction of mandatory pretrial proceedings in non-use cases – the plaintiff must forward an offer to the trademark owner requesting assignment of the trademark or its abandonment. Discussions are taking place with the aim of reconsidering the parallel import prohibition within the Eurasian Economic Union. Currently, the regional principle of trademark exhaustion is applied. Trademark infringements on the internet have also been in the limelight during the past few years. Amendments on information intermediary liability now enable host-providers effectively to shut down infringing websites at the trademark owners' request. 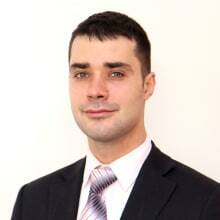 1 Alexander Nesterov is a partner and Sergey Medvedev and Ilya Goryachev are senior lawyers at Gorodissky & Partners.